Man taking a walk through winter covered park. hd00:17Man listening to headphones walks by bench in winter weather. 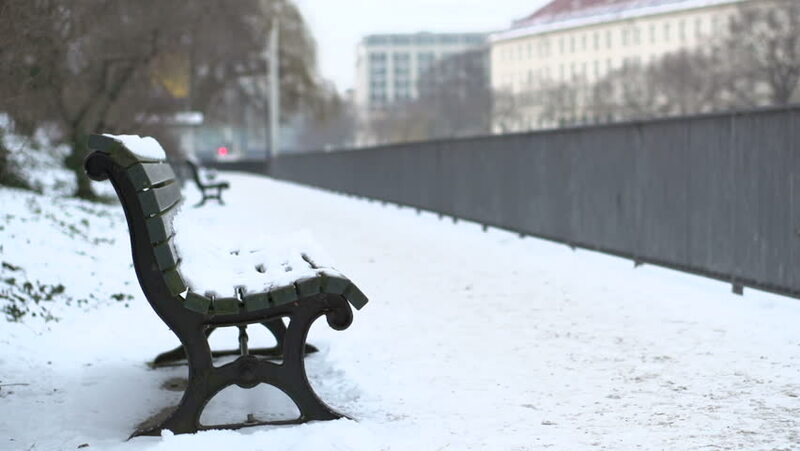 hd00:14Snow covered bench on walkway of park. hd00:15City bench covered by snow on a winters afternoon. hd00:47Professional extreme sportsman biker riding fat bike in outdoors. Close-up view of rear wheel. Cyclist ride in winter forest. Man on mountain bicycle with big tire. Snow fly into the lens camera.